Islamabad, April 9: Pakistan's Federal Investigation Agency (FIA) on Tuesday opposed the bail of Zakiur Rehman Lakhvi, the mastermind of the 2008 Mumbai terror attacks. The top investigative agency approached the Islamabad High Court seeking cancellation of the post-arrest bail of Zakiur Rehman Lakhvi. 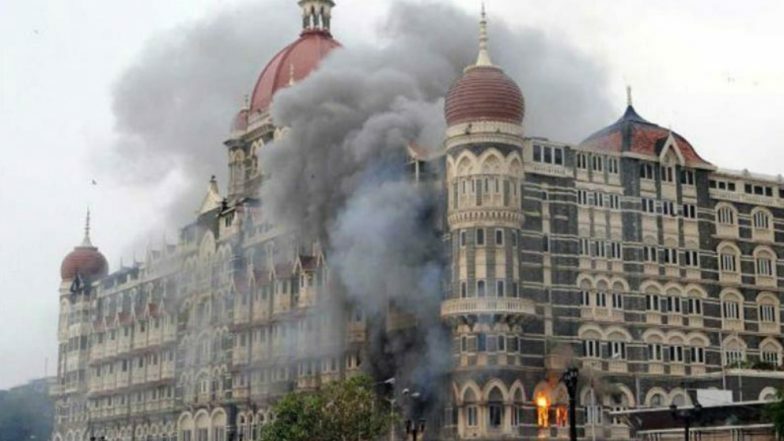 The court then asked the authorities to submit the record of the Mumbai attacks case in two weeks. Lakhvi, a commander of terror outfit Lashkar-e-Taiba (LeT), and six of his associates are facing charges of abetment to murder, attempted murder, planning and executing the Mumbai attacks since 2009. On December 18, 2014, Lakhvi was granted the post-arrest bail by an Islamabad-based Anti-Terrorism Court (ATC). Lakhvi has been living in an undisclosed location since then. 26/11 Mumbai Terror Attack: US Asks Pakistan to Uphold UN Security Council Obligations, India Welcomes Statement. Seeking cancellation of Lkahvi's bail, Pakistan's FIA told the court that it has enough evidence against him. "In the present case, the learned trial judge (of ATC) after the terrorist attack in Islamabad courts (of March 2013) refused to visit Adiala Jail for a long time due to security reasons," the FIA said in its appeal against the ATC judge’s order, Pakistan-based Dawn newspaper reported. 26/11 Mumbai Terror Attack: We are Waiting for the Appropriate Time, Says Narendra Modi. Some 166 people were killed in the attack carried out by 10 LeT terrorists. Nine of the attackers were killed by police while lone survivor Ajmal Kasab was caught and hanged after handed down death sentence by an Indian court. It's been 11 years since the ghastly attack on Mumbai but none of its suspects in Pakistan has been punished yet.